Concerned that your curtains are not cleaned often enough? 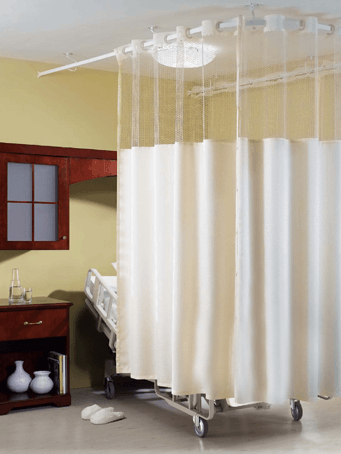 As a focus of hospital-acquired infection reduction programs, there is more emphasis being placed on cleaning curtains regularly. The team at MediCleanse offers real and immediate solutions for your facility. In need of reliable and regular curtain cleaning? Our processes eliminate dryer wear, the leading cause of damage. In need of curtains while your curtains are being cleansed? In need of a new cubical curtain with no capital budget?